Physical discs are available (at £9.00) and downloads (at 79 pence per track). You can hear some of the music at Bandcamp and MySpace, and buy the CD from Bandcamp, eBay or directly from Medieval Records, or the downloads from Bandcamp, iTunes, CD-Baby, Amazon, 7Digital and all the usual music outlets. Postage for the physical album is free in the UK. A recent review in PROG magazine described the album as ‘defiantly well off the bonkers scale and ploughing fearlessly forward into whichever realm exists beyond the edge of outright madness ... 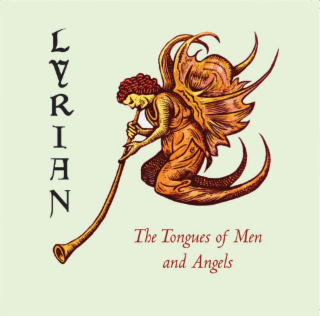 The Tongues of Men and Angels is an unashamedly extravagant concept piece that sprints through the prog continuum at a breathless pace ... Lyrian are über-prog and proud’.